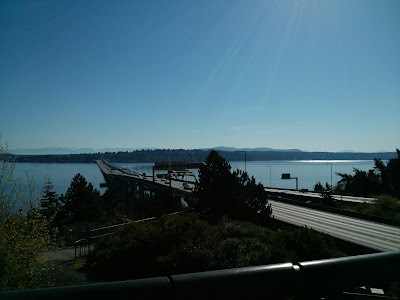 The I-90 Trail, known as the Mountain to Sound Greenway, or the John Wayne Trail, depending on how far east you are on the trail, is a long distance east-west trail that theoretically crosses Washington State. In practice, the going gets very difficult if not impossible beyond the Columbia River. 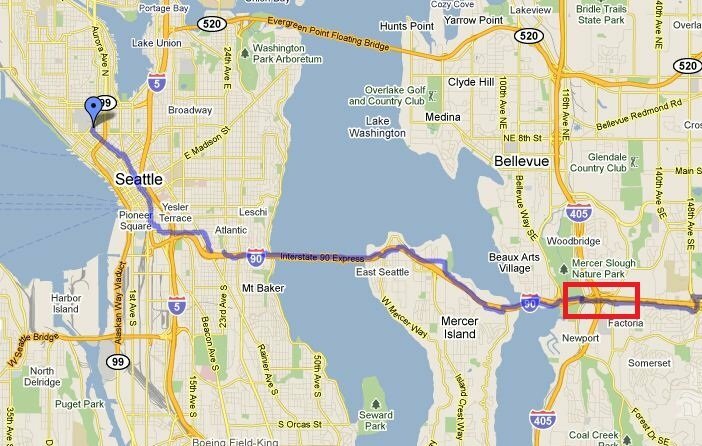 Near Seattle it's generally called the I-90 trail because it follows the freeway. 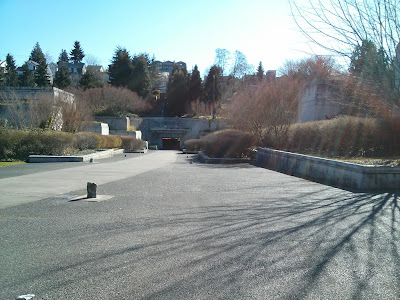 The trail begins at Dr. Jose Rizal Park just southeast of downtown Seattle. 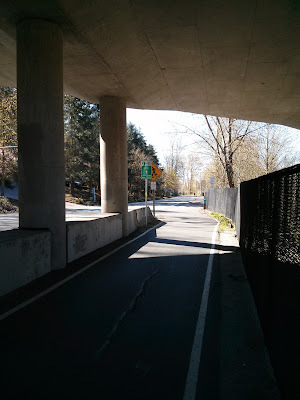 When approaching from downtown, the bike lane on the Dearborn is the easiest way to get under I-5 and across Rainier to the start of the paved trail. Cross Rainier and take Haiwatha to the start of the trail. Almost immediately you will come to a junction, take the left path. There will be signs as well; in fact there is excellent signage on the trail through Bellevue. Upon existing the other side of the tunnel, there's a nice viewpoint and good rest spot. The trail crosses the lake on the north side of I-90; the trail is wide and safe. 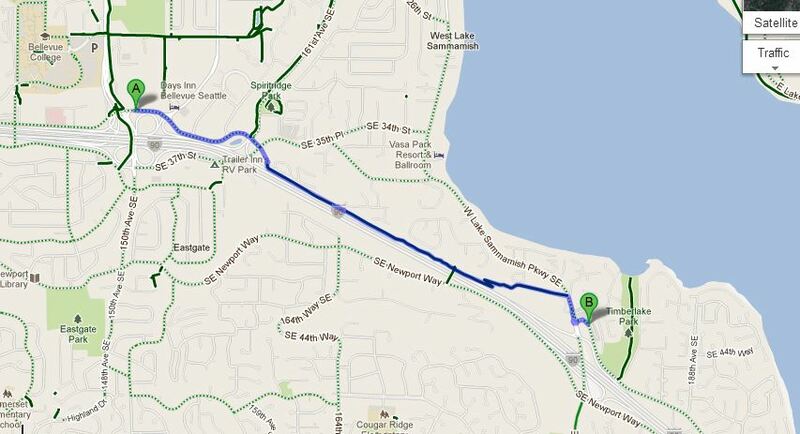 Once across the lake, the trail winds east and ends at 118th, just under the I-90/405 interchange. 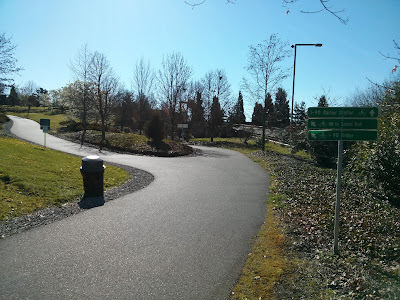 The Lake Washington Trail heads south along the lake. 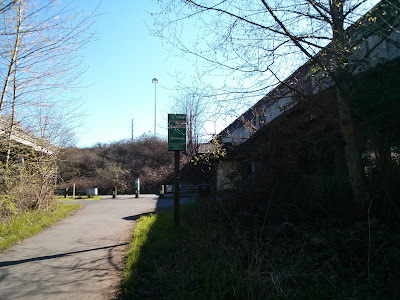 The I-90 trail continues east from Factoria via a bike lane along 36th. 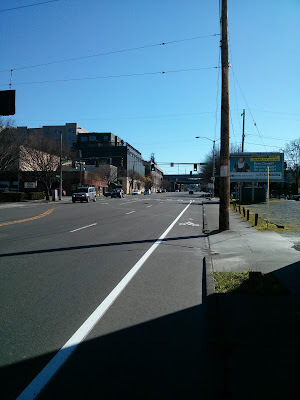 This portion represents one of the 'gaps' in the trail system and so you must ride the bike lane along 36th, a fairly busy road. And a close-up of the crossing over Eastgate. 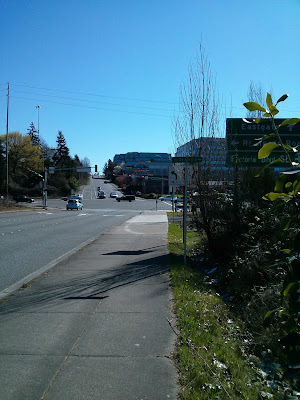 As of 2012, this was the busiest part and has the most interaction with traffic. There is a project underway to improve that section, but I do not know the estimated completion date. The .gpx file is available here. 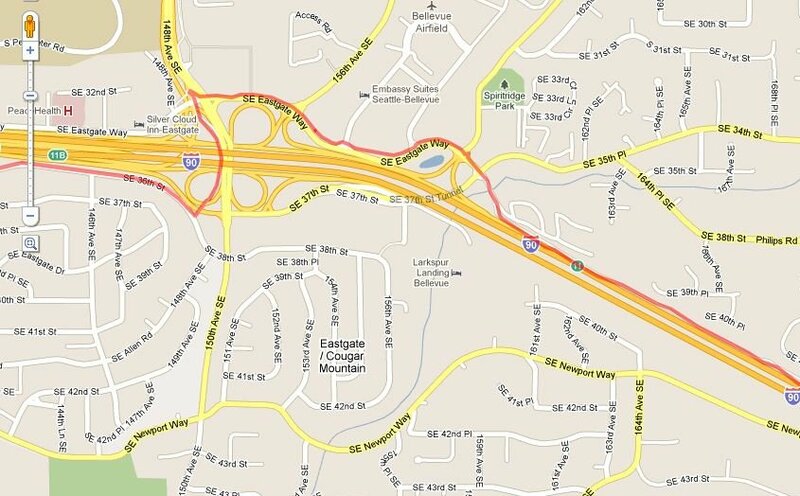 Now on the north side of the freeway, ride east along Eastgate until you hit West Lake Sammamish. Click here for Section 2.